The latest US government's "India 2014 Human Rights Report" has criticized Gujarat government for filing a misappropriation case against well-known human rights activist Teesta Setalvad. This, it notes, was done "after a December 2013 decision by a Gujarat lower court rejecting a protest petition "to force the state to file criminal charges against then-Gujarat chief minister Narendra Modi and other officials for allegedly failing to stop Hindu reprisals in Gujarat in 2002." The report states, "On January 5, Gujarat police filed a petition against human rights activists Teesta Setalvad, Javad Anand, Salim Sandhi, Feroz Gulzar Mohammed Pathan, and Tanvir Jafri for allegedly misappropriating funds donated to construct a memorial to the 2002 riots. The petition was filed after residents of the Gulberg Society, a housing complex, claimed that Setalvad misused 1.5 million rupees ($24,000) collected to build a memorial to the 69 persons killed during the 2002 riots." 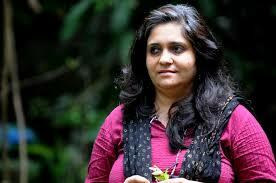 Pointing out that Setalvad, one of the accused, is the founder of Citizens for Justice and Peace (CJP), "a Mumbai-based organization responsible for numerous cases against alleged perpetrators of the 2002 Gujarat violence", the report points to how, throughout 2014, the state government "opposed activists’ anticipatory bail applications submitted to Gujarat and Mumbai courts in addition to the Indian Supreme Court." Pointing to harassment, the report says, "On December 5, the Gujarat High Court required Setalvad and Anand to appear before their embezzlement case’s investigating officer on December 15 and 16 and again on January 1 and 2, 2015", the report says. The report quotes activists' claim to say that "the case was malicious and in retaliation for their work on behalf of the victims in the Gujarat cases." Worse, it adds, "The state government froze CJP’s bank accounts on January 21 pending the investigation; the accounts remained frozen at the end of the year." The report comes at a time when the Modi government is learnt to have decided that the Central Bureau of Investigation (CBI) should probe into another "misappropriation" case involving Setalvad -- the alleged transfer of funds by the Ford Foundation to the Sabrang Communication and Publishing Pvt Limited (SCPPL), which she heads. Giving a picture of continued state indifference towards the 2002 riot victims, the report quotes a recent Centre for Social Justice, Ahmedabad, study which found that more than a decade later there are "3,964 internally displaced Muslim families in 86 settlements in Gujarat." It adds, "The study stated that 30 percent of the Internally Diplaced Persons (IDPs) had not received any government assistance and the rest had been inadequately compensated." It further says, "The Gujarat government, which initially claimed there were no IDPs, continued to hold back compensation, although the central government directed it to provide compensation. There were reports the state government denied social welfare benefits to registered IDPs. Camps lacked basic amenities such as drinking water, power, sanitation, health care, and education." The report also quotes civil society activists for continuing "to express concern about the Gujarat government’s failure to hold accountable those responsible for the 2002 communal violence in Gujarat that resulted in the deaths of more than 1,200 persons, the majority of whom were Muslim." It notes that that the Gujarat government-appointed the Nanavati-Mehta Commission, appointed to investigate the violence in 2002, completed its report in November and handed it over to the state government. Yet, "The state government did not release the report publicly." Meanwhile, the report regrets, "former state minister Maya Kodnani, who had been sentenced in 2012 to a 28-year prison term for her involvement in the violence, was released in July after a court suspended her sentence for health reasons."